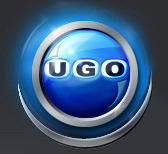 UGO Diablo III Preview - Trading Through Whispers! There are additional plans to streamline item-sharing between different characters, one suggestion being to allow items to be traded or sent through whispers. Pricing for the game is still being decided, but don’t expect to pay subscription fees for access to Battle.net. Sure, there’s always the possibility that different membership tiers will be introduced later on, but nothing we heard during our chat suggested that the team has anything other than a free-to-play model in mind for Diablo III’s online play. Pretty much what I thought, but also awesome to have more people talking to devs and get the same impression! The Source of the Controversy?